Is your Windows Computer slow to start? Are you getting messages that Windows updates are failing? Are you constantly seeing the Windows busy spinning icon? Recently we are seeing a lot of jobs coming into our workshop that appear to be related to malware and virus infections but the one thing they have in common, is they have a failed or corrupt download of Windows 10 files with the error code 80240020. This is because even if you don’t want to install Windows 10 on your Windows 7 or Windows 8.1 Computer or laptop, Microsoft is pushing out the software (just in case) through daily Windows updates. If this has resulted in a failed or corrupt installation, your computer will keep trying and retrying and retrying to install this software, every day until you fix the issue. Luckily there is quite a well documented, tried and tested way of fixing this. 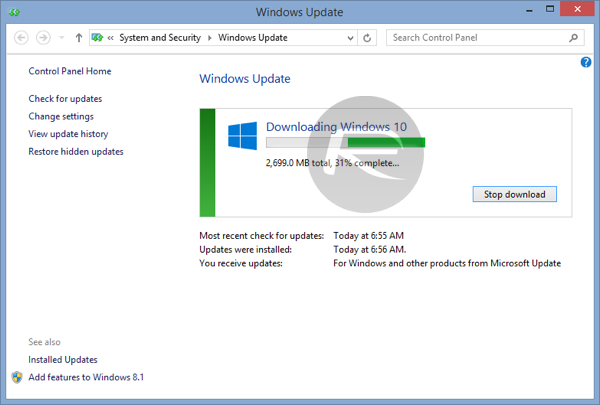 Even if you DO NOT WANT WINDOWS 10, you need to allow Windows Update to complete its download process. 1. Go into “C:\Windows\SoftwareDistribution\Download” and delete everything in that folder. 2. Now, run the command prompt as an administrator. Type in “wuauclt.exe /updatenow“. you will need Administration rights for this to happen. Repeat the process from Step 2 above. Thanks but I have tried all the above and nothing seems to work. Now have over 30 failures of the upgrade. Very frustrating!! Can you forward some screen shots of the updates and their error messages you are getting on failure. We will try and help. Hi – I am in the UK and found this by trawling. 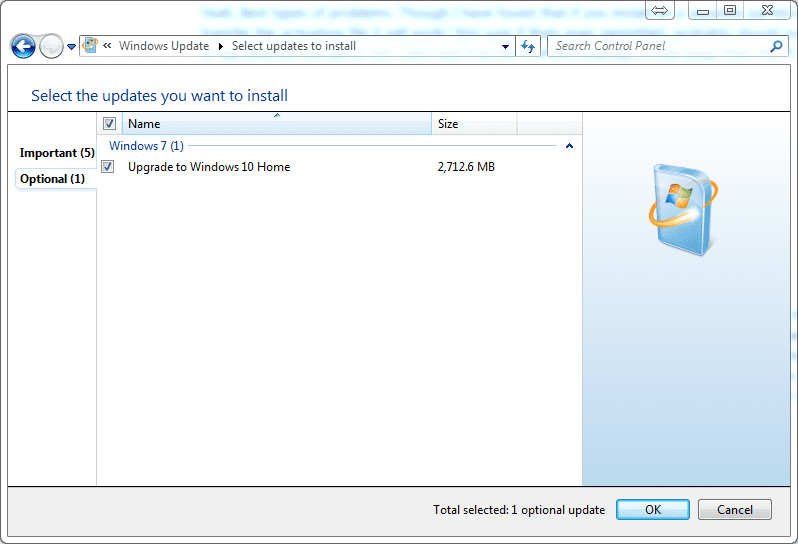 I followed the steps you gave and it appeared to work – I was offered the Win10 update. But because I was not quite ready to implement it, I ‘hid’ the update. However, I cannot now get back to it. When I click ‘Restore Hidden Updates’, I am told there are no hidden updates. Can you help a poor ‘pommie’? and follow the procedure. This forces Windows 10 to be reloaded.